Digger's Story is generally available and is stocked by major high street and on-line book sellers in Australia. The book should also be available in some selected UK book stores. 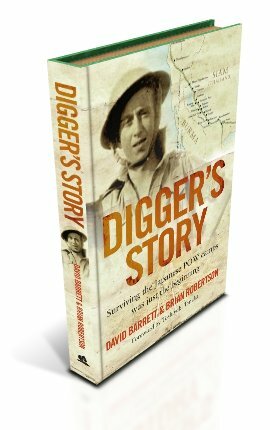 A few copies of Digger's Story signed by the surviving author are available direct from the author for $34.00 including postage to anywhere in Australia. Watch this space or subscribe to be kept up to date via email.